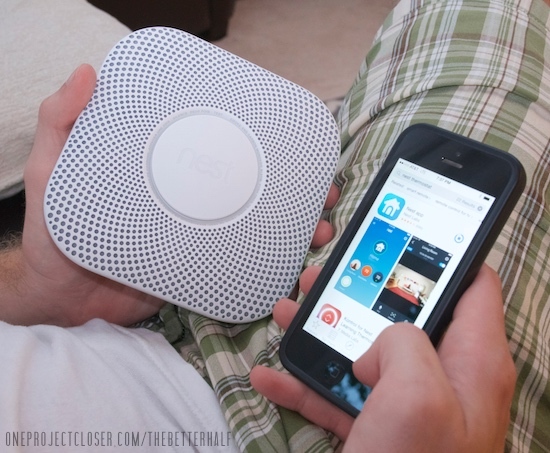 This giveaway is sponsored by Total Protect Home Warranty and Nest. Opinions are all mine. So I know we’ve had a lot of giveaways recently – in fact, if you haven’t heard, every weekend we have a new giveaway at our Creativity Unleashed Link Party (everyone can enter to win!). 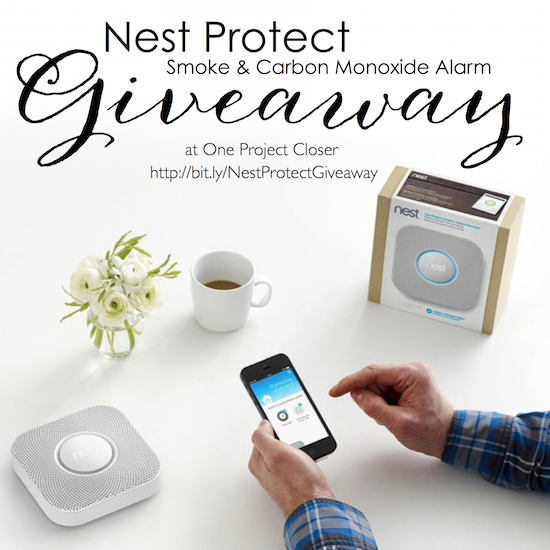 But this giveaway I am particularly excited about – the Nest Protect, smoke and carbon monoxide alarm. 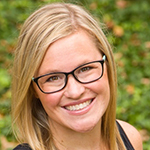 If you haven’t heard about Nest products, they really are amazing. Not just because they are beautifully designed, but they also give you control and peace of mind when you are away from home. The Nest Protect has an industrial-grade sensor, performs tests automatically so you don’t have to remember, and lasts up to 10 years. It’s the first smoke and CO alarm you can hush from your phone, it tells you what’s wrong and can even alert your phone in case you’re away. We were also sent a Nest Protect to try out in our home, and I was not disappointed! We downloaded the free app onto our iPhones and set it up in about 10 minutes. It may have taken a little longer than customary because I was being pretty annoying taking pictures. haha But in all seriousness, it was very easy. We had a little trouble connecting our Nest Protect to the wireless internet, but after a few times it connected and worked great. The fault may have been on our end, but if you have trouble too, don’t freak out, just give it a minute. As far as installation on the wall, the footprint of the Nest Protect was the same as the existing, not very fancy smoke detector and was very simple. Ideally, in the future, I would like to have all our smoke detectors be Nest Protect, but for now we just have one. As we were deciding where to put it, I voted for the top floor, since smoke rises. Well, Ethan said if we were going to have a Nest Protect it was going to be in the entry way so we could show it off. haha So that’s where it is! And I love that it even has a motion sensor night-light for the middle of the night when I can’t find a light switch getting a drink of water. There you go – super easy, cute design, peace of mind, and another excuse to play on your iPhone. Doesn’t get much better than that! 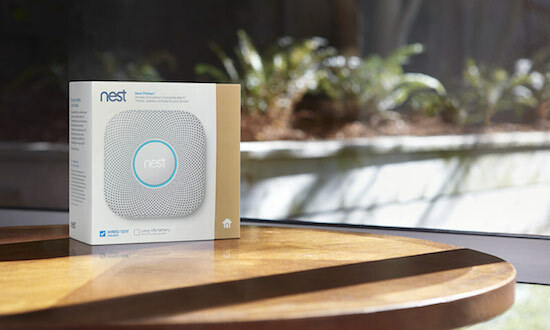 Oh, and TotalProtect Home Warranty, a national leader in home appliance and system protection plans, has partnered with Nest for a limited time promo that gives homeowners a complimentary Nest Protect with a qualifying TotalProtect Home Warranty plan – a retail value of $99! Pretty great, huh? 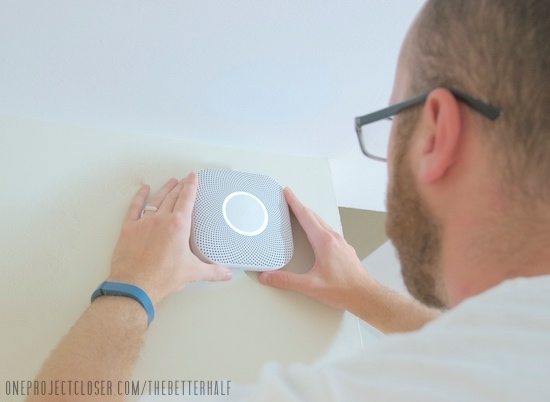 As Always, thanks for reading…entering our awesome giveaway for the Nest Protect! I would put it in my entrance area near the stairs. What a great opportunity. Thanks. I would put this right in our entryway!! I’d replace the one in my kitchen!! I need to replace all of my alarms and winning one would sure help my budget (retired on a fixed income). In the entryway. Thanks for the giveaway! Right past the entryway, beside our bedroom door. I’d put this in our living room! I would put it the hallway between the kitchen and living room. I would give this to the woman I work with who was just saying she didn’t have a CO2 alarm in her house. Definitely in the living room! Main living room, right in the middle of the house! I love that it has a built in nightlight. I didn’t previously know about that feature. Cool! I might include it in a gallery wall – give it its own custom sparkly frame & make it look like the art it is! Love this, but sorry I don’t tweet, but am following you in other places. want want want! hallway outside our bedrooms would be so great. the nightlight is brilliant! I need to detectors right now, 2 of ours have decided to all start randomly going off (no fire, smoke, or CO though, just malfunctioning) The Nest one is pretty (for a smoke detector!) it would probably go in the main hallway. I love it. My first thought would be to place it in the master bedroom, but that night light might get a little annoying as dogs and people wake up multiple times a night. With that in mind, I’d probably put it in the hallway leading from the front entrance to the master bedroom. I would put it outside my kids rooms! I would put it right in my front hallway. We live in a split level so it would probably go in the little hallway by our stairs, it’s right next to the kitchen and the entryway so it would be a good central location for it. In the little 500sqft studio my husband and I live in. Replacing our single normal detector with a smart detector to better save our lives and belongings? Sounds good to me! That would like awfully pretty in my kitchen! In my hallway! Thanks for the chance! In the new home we are hopefully closing on in the next month! Above the stairwell in my just-one-more-project house! I’d put it in the living room, in the middle of my apartment. In the new house we’re building! I’ve been thinking about putting alarms in each of the bedrooms, and now that I have a 5 month old baby Im caring about, it would be nice to have something like this that can alert us in so many ways. So it would either go in his bedroom or in the hallway right outside it. I just bought a new house — this would be great to replace the old, low-tech version that I currently have! I would put it in between my kids rooms! Wow! This looks so cool! We could definitely put this to use in our house! In our family room. Hope I win! Need on in the main hallway! What a great item!